At Thunderbird Dental Group we strive to improve the lives of our valued patients in Walnut Grove and Langley by providing beautiful smiles and advanced oral health services in a relaxed and enjoyable environment. Whether you’re in need of emergency treatment or want a full smile makeover, our expert dental team will help you achieve your goals! Dr. Elisha Lee, General Dentist, embraces the goal of helping patients find their self-confidence through a great smile. General Dentist. Bio coming soon. Office Manager Emily Schierer and the Thunderbird Dental Group professional team are trained professionals who will treat you with respect and great service. They are dedicated to ensuring that your appointments and experience in the practice is comfortable – feel free to consult them about your every need for scheduling, payments, or orientation. 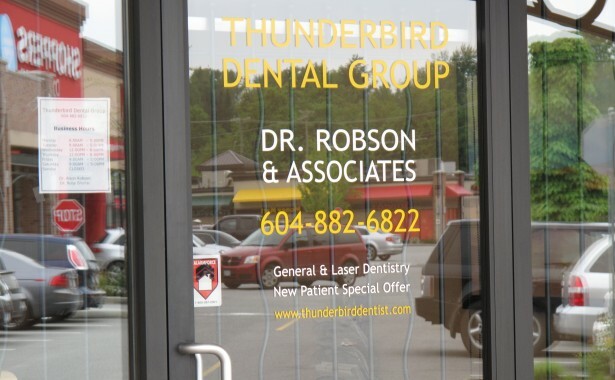 Thunderbird Dental Group is proudly owned by Dr. Alson Robson, Dr. Amin Shivji, and Dr. Edmund Wong.